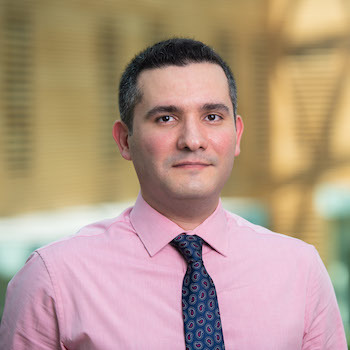 Salar Ghamat is an assistant professor of Operations and Decision Sciences at Lazaridis School of Business and Economics, Wilfrid Laurier University. Salar received his PhD in Management Science from Ivey Business School (Western University) in 2017, MSc in Operations Research and Management Science from Tilburg University, and MBA from Bilkent University. His areas of research include strategic supply chain management, and healthcare operations management. He has published papers in Production and Operations Management (POM), Decision Sciences (DS), and International Journal of Production Economics (IJPE). Ghamat, S., Zaric, G.S., Pun, H., (forthcoming), "Contracts to Promote Optimal Use of Optional Diagnostic Tests in Cancer Treatment", Production and Operations Management. Ghamat, S., (2016), "The Value of Partnership Under Competition: When Competitors May Be R&D Joint-Venture and Supply-Chain Partners for a Critical Component", International Journal of Production Economics, July 177: 1 - 11.